Click on the banner above to go to the George H. W. Bush homepage at the University of Virginia's Miller Center. 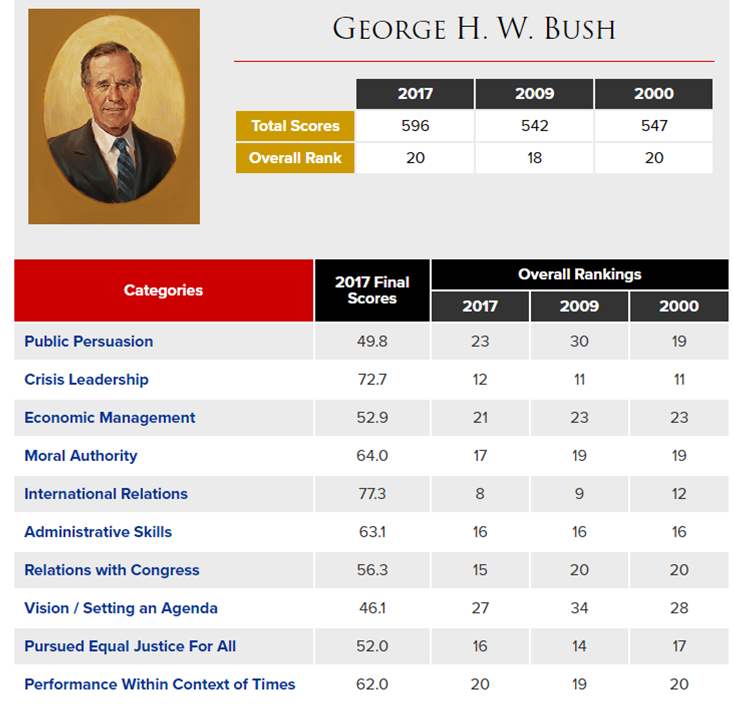 Click on the buttons below for in-depth information about H. W. Bush's Presidency. Bush is related to Benedict Arnold, Marilyn Monroe, Winston Churchill... and Presidents Franklin Pierce, Abraham Lincoln, Teddy Roosevelt, and Gerald Ford. 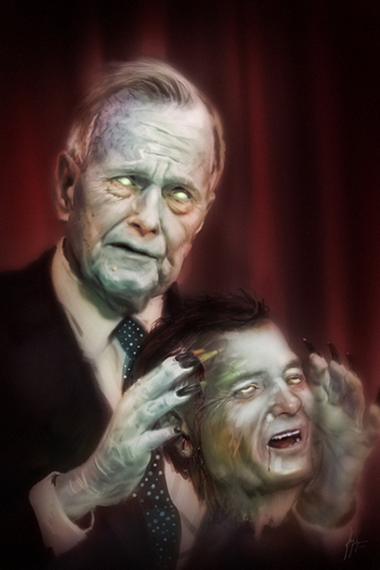 George H. W. Bush and George W. Bush happen to be the second father and son to be elected as President after John Adams and his son, John Quincy Adams. Bush joined the U.S. Navy after World War II broke out, and, at 18, became the Navy's youngest commissioned pilot. Serving from 1942-1945, Bush was awarded the Distinguished Flying Cross. He fought the Japanese on 58 missions and was shot down once. 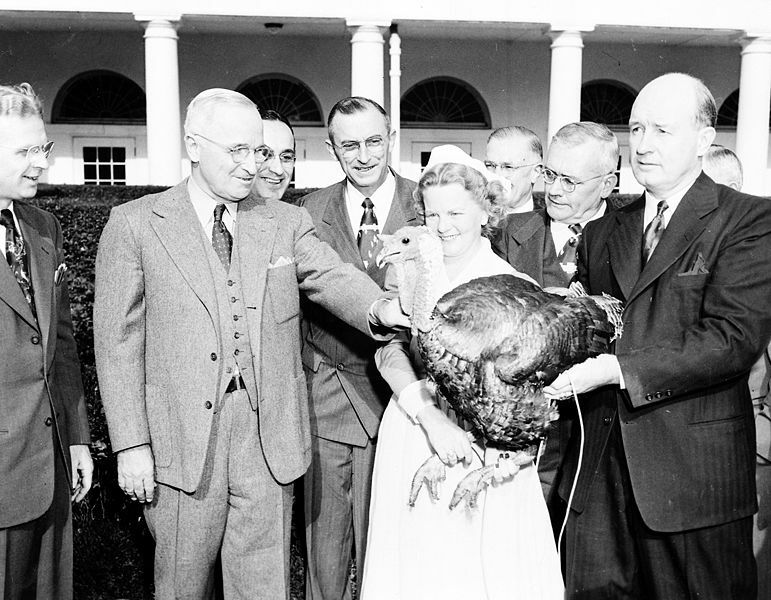 The presentation of a Thanksgiving turkey to the President each year began in 1947 under Truman, and many sources erroneously attribute the origin of the turkey "pardon" to Truman. 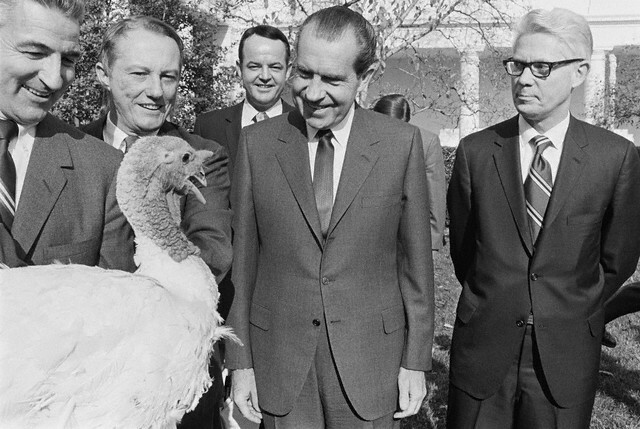 However, no documents, speeches, newspaper clippings, photographs, or other contemporary records are known to exist that specify that he ever "pardoned" a turkey. There are records that he publicly admitted to eating at least some of them. 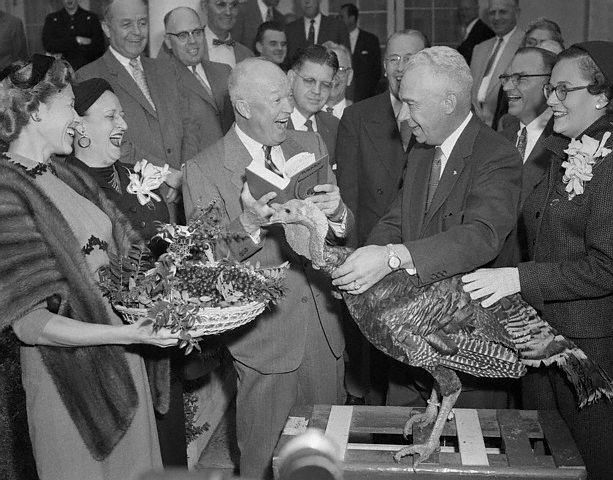 President Eisenhower ate the birds presented to him during his two terms. 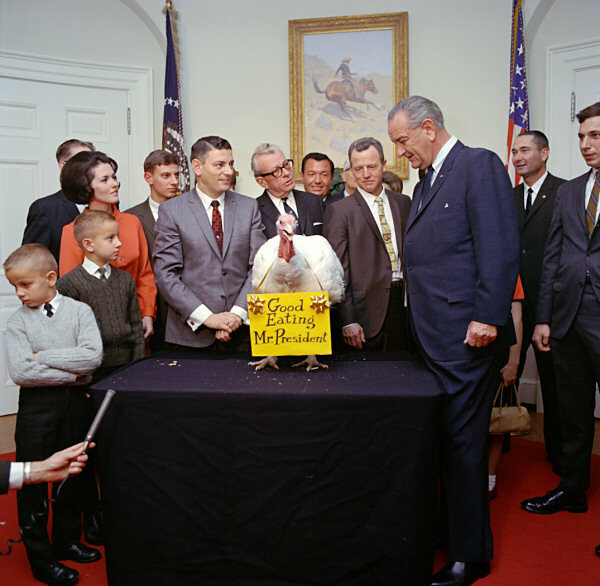 President JFK spontaneously spared a turkey on Nov. 18, 1963, just four days before his assassination, but the act was done out of discomfort toward its size, not out of empathy. The bird was wearing a sign that read: "Good Eatin' Mr. President." 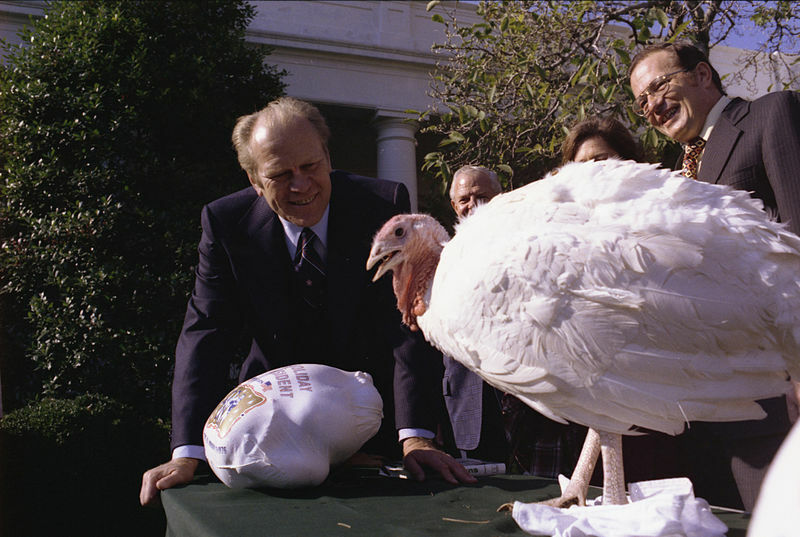 The first President on record issuing a "pardon" to his turkey was President Reagan, who pardoned a turkey named "Charlie" and sent him to a petting zoo in 1987. The reference to it being a "pardon" was in response to criticism over the Iran-Contra Affair, in which Reagan had been questioned on whether or not he would consider pardoning Oliver North, a National Security Council staff member who had yet to be tried for his involvement in the scandal. 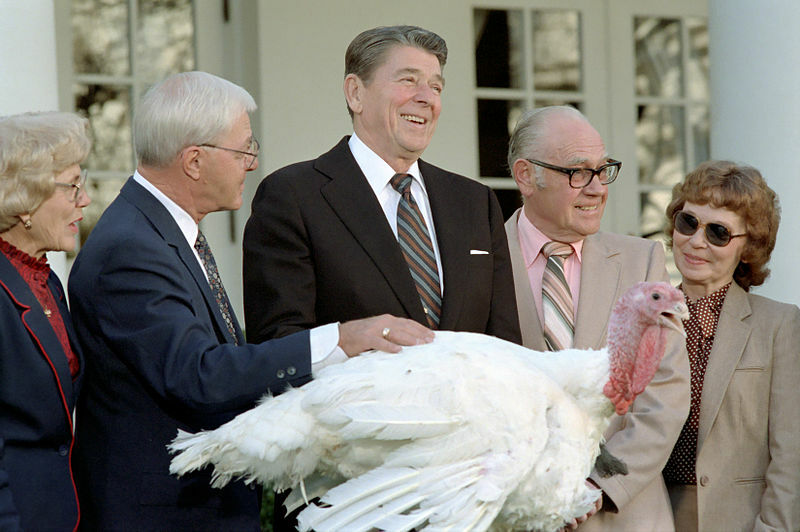 Reagan conjured the turkey pardon as a joke to deflect those questions. 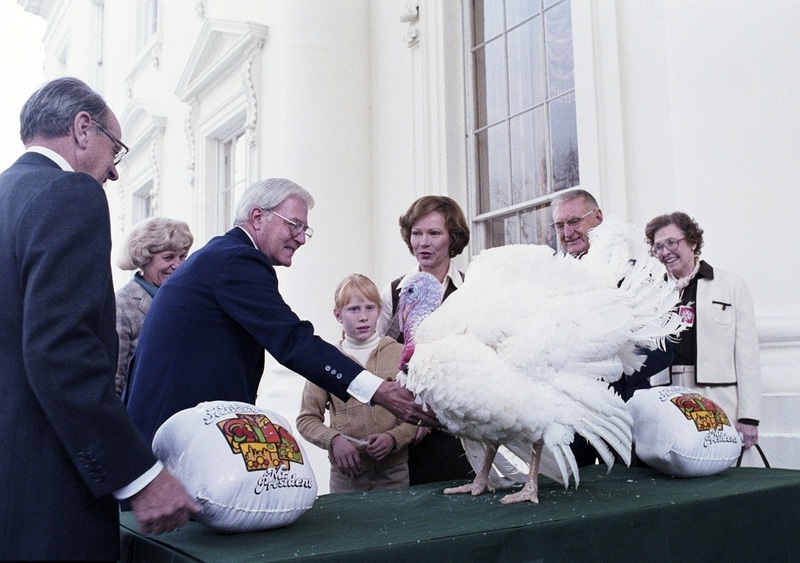 Reagan did not pardon a turkey in his final year as President in 1988, but Bush instituted the turkey pardon as a permanent part of the presentation beginning his first year in office in 1989. 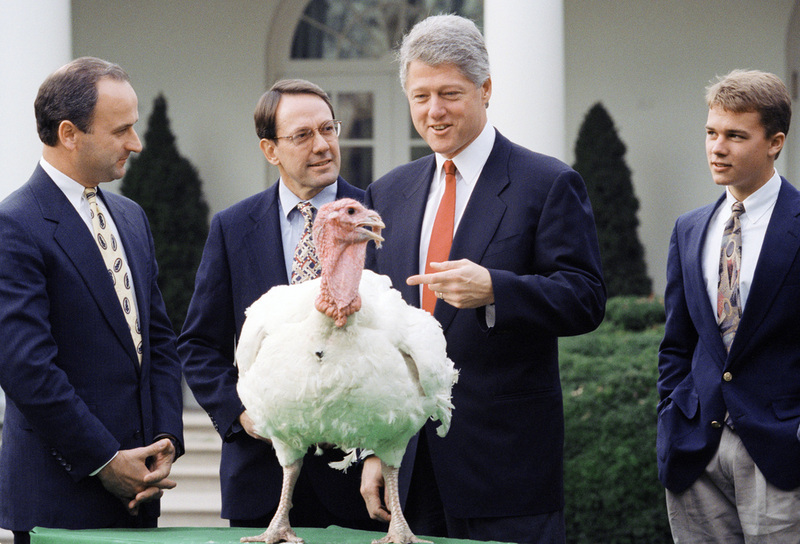 Since then, the turkey is "pardoned" and taken to a farm where it lives out the rest of its natural life. Only in America! When Iraqi dictator Saddam Hussein invaded neighboring Kuwait in the summer of 1990, Bush saw an opportunity to set a new standard for international cooperation in the post-Cold War world. He assembled an unprecedented coalition to condemn Hussein's actions. The Gulf War succeeded in driving Iraq out of Kuwait with minimal American casualties. 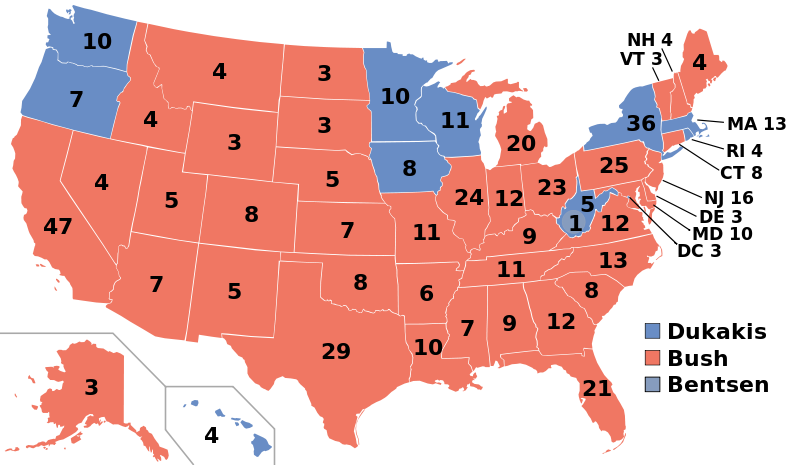 As a result, Bush enjoyed the highest Presidential polling numbers recorded at the time (89%). 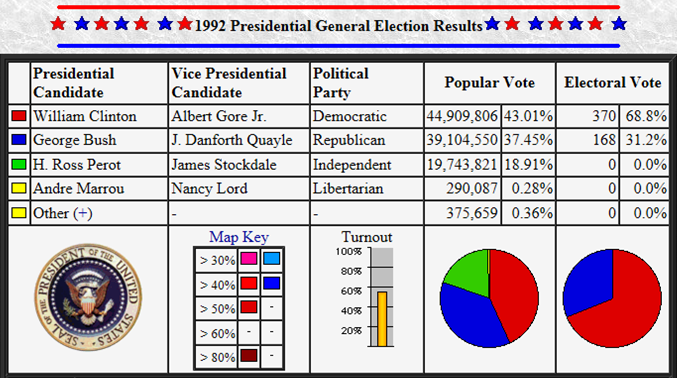 Less than two years after his Gulf War achievement, Bush lost the Election of 1992 to Bill Clinton. Though many factors caused Bush's loss, the sluggish economy was the most important. 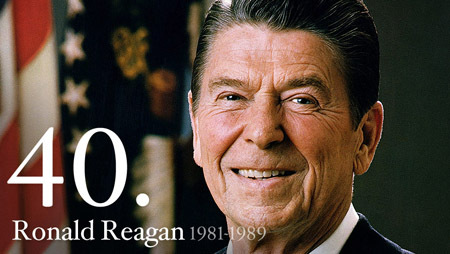 After abandoning his famous 1988 campaign pledge, "Read my lips, no new taxes! 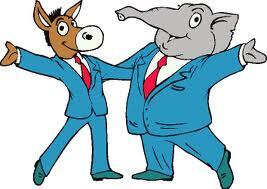 ", Bush presided over a long period of recession and economic unrest. 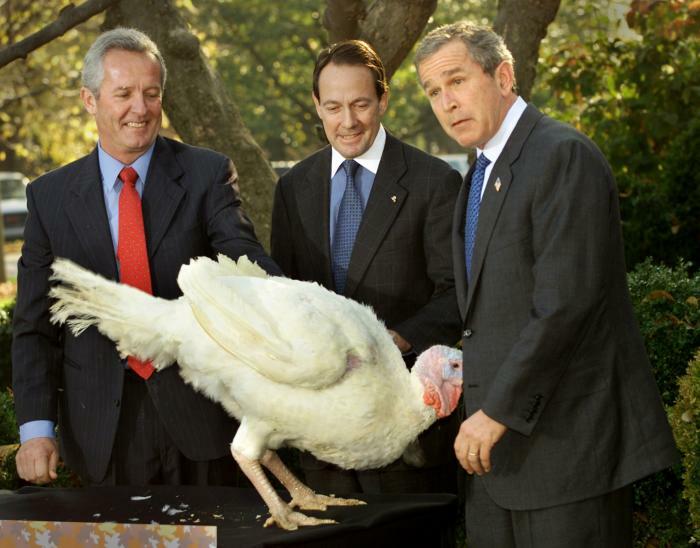 Increasing numbers of Americans began to see Bush as "out of touch". Also, Americans shifted focus, in the post-Cold War era, from international issues to domestic concerns. In 1953, tragedy struck the Bush family. Born in 1949, Bush's first daughter, Robin, was diagnosed with leukemia soon after the birth of their third child, Jeb. Robin died seven months later, just before her fourth birthday. For more than 40 years afterward, Bush carried a gold medallion in his wallet that read, "For the Love of Robin". When Bush had another daughter, six years after Robin's death, he visited the nursery, pressed his face against the glass, and sobbed. 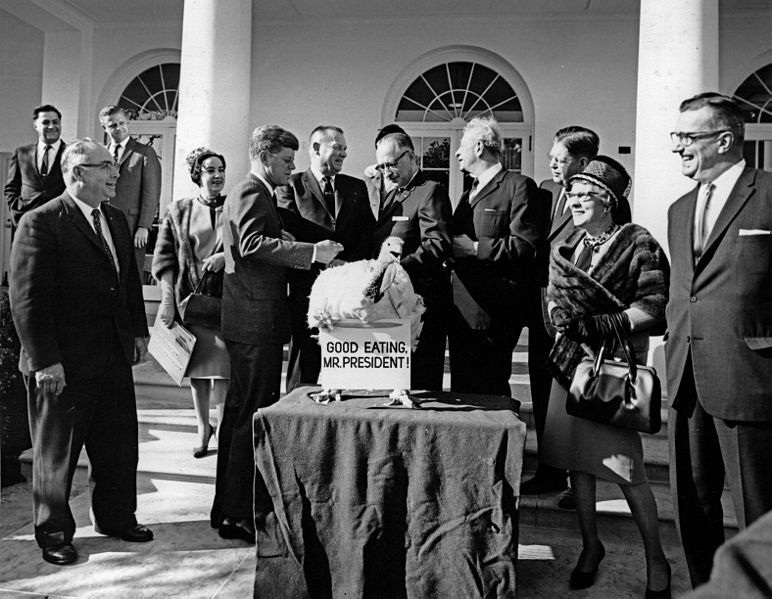 Upon taking office, Bush banned broccoli from Air Force One and the White House. 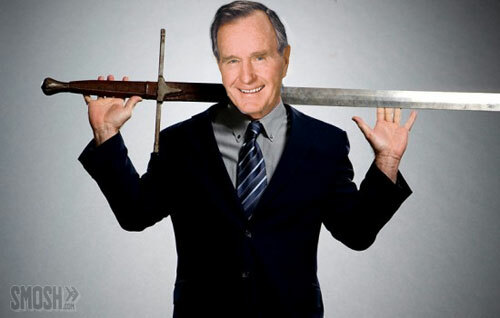 "I do not like broccoli," Bush said, responding to queries about his anti-broccoli stance. "And I haven't liked it since I was a little kid and my mother made me eat it. 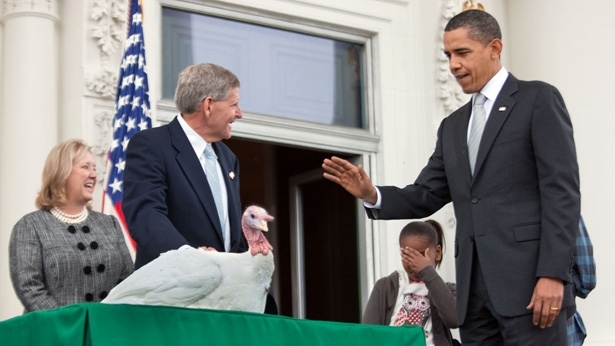 I'm President of the United States, and I'm not going to eat any more broccoli!" 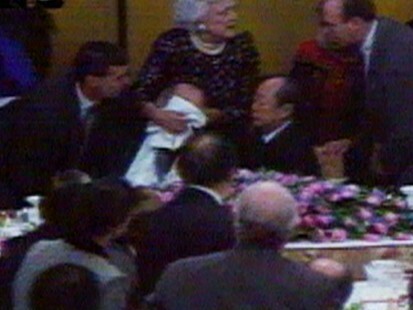 While visiting Japan, Bush vomited on the Japanese Prime Minister Kiichi Miyazawa during a banquet on January 8, 1992. (Click on the picture to the left to watch the video!) The event coined a new Japanese phrase: "Bushusuru"... which literally means "to do the Bush-thing". A major Bush accomplishment in 1991 was the Strategic Arms Reduction Treaty (START), signed in July with Soviet President Mikhail S. Gorbachev at their fourth summit conference. This marked the end of the long weapons buildup that had typified the Cold War. During the Bush Administration, the Soviet Union collapsed on December 25, 1991, effectively ending the Cold War that had been "waged" between the U.S.S.R. and the U.S. since the end of World War II in 1945. U.S.A.! U.S.A.! U.S.A.! 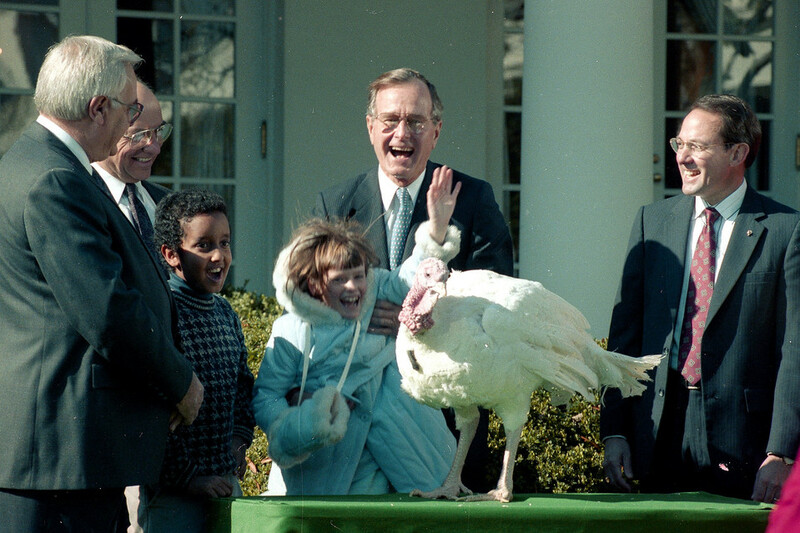 When Bush left the White House in January 1993, he mostly left politics behind him. 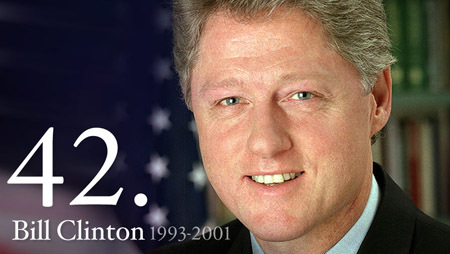 The note he wrote for President Clinton in the Oval Office assured the new President that he would not make any trouble by publicly criticizing Clinton. When his son, George W. Bush, became the 43rd President, the elder Bush, often referred to as "41" (because he was the 41st President) continued to keep out of the political limelight. However, the advice that "41" did or did not give to his son was the subject of much speculation throughout the latter's Presidency.